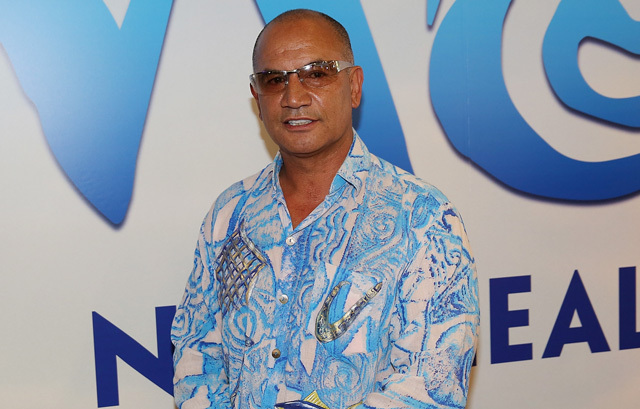 Temuera Morrison, who played Jango Fett in the Star Wars prequels and voiced Moana‘s father, Chief Tui, is in negotiations to join the cast of Warner Bros. Pictures and DC Entertainment’s Aquaman, according to The Hollywood Reporter. Morrison would play Aquaman’s human father. Jason Momoa will play the title character and is joined by Amber Heard as Mera, Willem Dafoe as Aquaman’s advisor Dr. Vulko, and Patrick Wilson as the half-brother of Aquaman, Orm. Also in negotiations are Nicole Kidman for the role of Aquaman’s mother, Atlanna, and Yahya Abdul-Mateen II for the role of the villainous Black Manta. To be directed by James Wan, Aquaman is expected to begin shooting in April. Aquaman made a brief debut in Batman v Superman: Dawn of Justice. He’s expected to play a much larger role in the forthcoming Justice League, set to hit theaters November 17, 2017. The Zack Snyder film is also expected to introduce Heard as Mera, Queen of Atlantis. Next up in the big screen DC Comics universe is director Patty Jenkins’ Wonder Woman. Look for it to hit theaters on June 2, 2017.